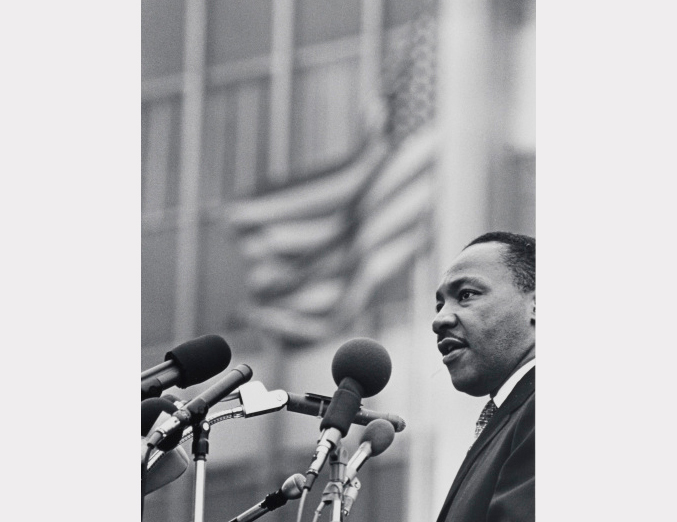 Benedict J. Fernandez, untitled [Dr. Martin Luther King, Jr.], April 15, 1967. Museum of the City of New York, 99.150.3. Visit the exhibition King in New York to learn about Martin Luther King Jr.’s encounters with New York City in the 1950s and 60s as he fought for racial freedom and equality. Then visit the exhibition Activist New York to explore activists today centered on the Black Lives Matter Movement. Taking inspiration from the Civil Rights Movement through today, create your own protest poster to inspire change for an issue that you wish to see improve.